Puppies Have Arrived! Six Boys Three Girls! Beautiful and Healthy! 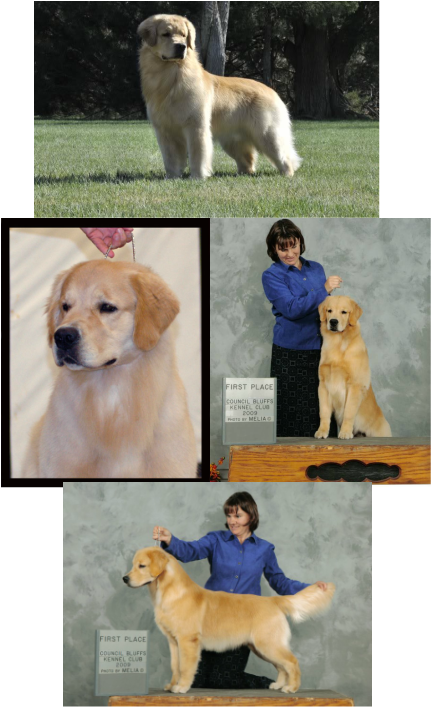 We are very excited about this breeding as Lincoln and Sweetie complement each other very nicely and each other's strong points will combine to provide lovely, sound, athletic, structurally correct puppies. This is a dream come true for me. Since we have lost Angel and LoverBoy, both to illness not related to heredity, we are so excited to be breeding a LoverBoy daughter to Angel's sister's (Wedge) son. This also line breeds on Woodie, which is one of my favorite past dogs! This is the "Dream" litter! Sweetie and Leo resting! November 8th. 13 more Days!!!!!!!! We couldn't be more happier to add Lincoln's pedigree to our lines! Lincoln has taken some time off to mature and the Speers plan to have him back out in the conformation show ring in the Spring of 2012. Currently, he has begun field training which he loves. This is a very athletic boy that loves the birds! His temperament is outstanding. He holds a strong topline, balanced angles, short coupled, muscular, great bone, and has an outstanding headpiece. Lincoln was rated with two Goods and one Excellent for hips and has his heart, elbow, and CERF clearances. Genetic info given upon request.